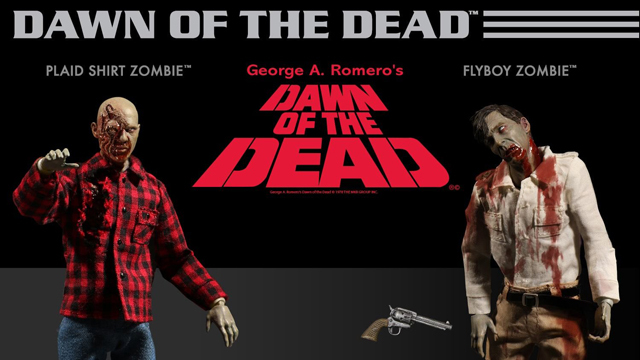 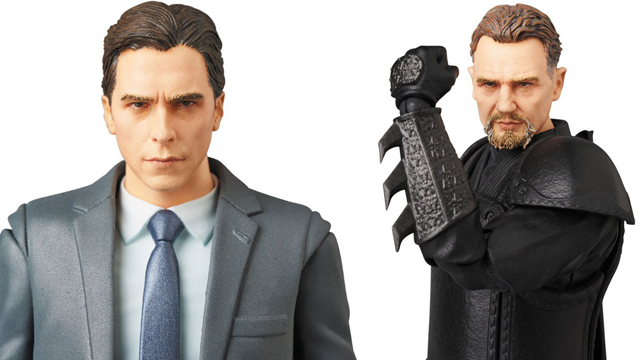 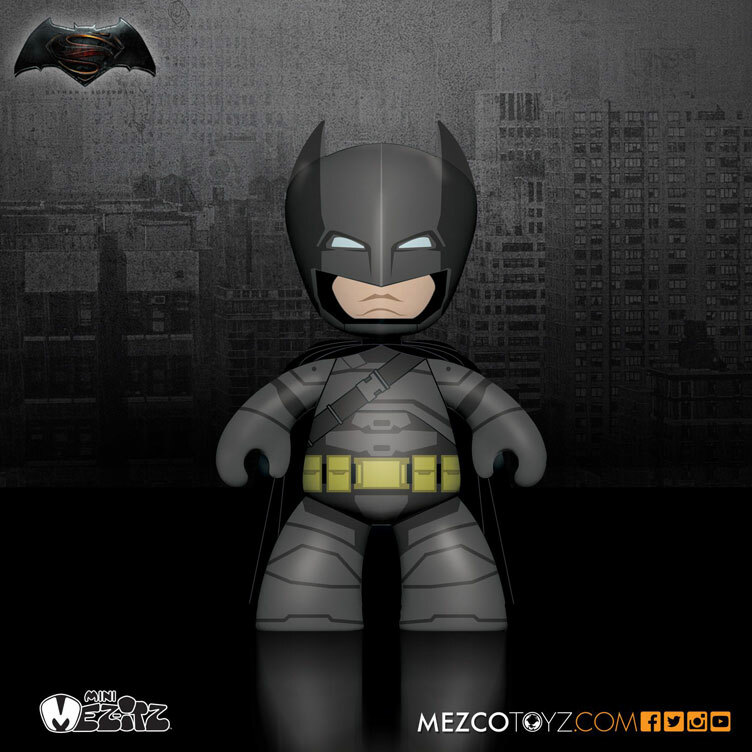 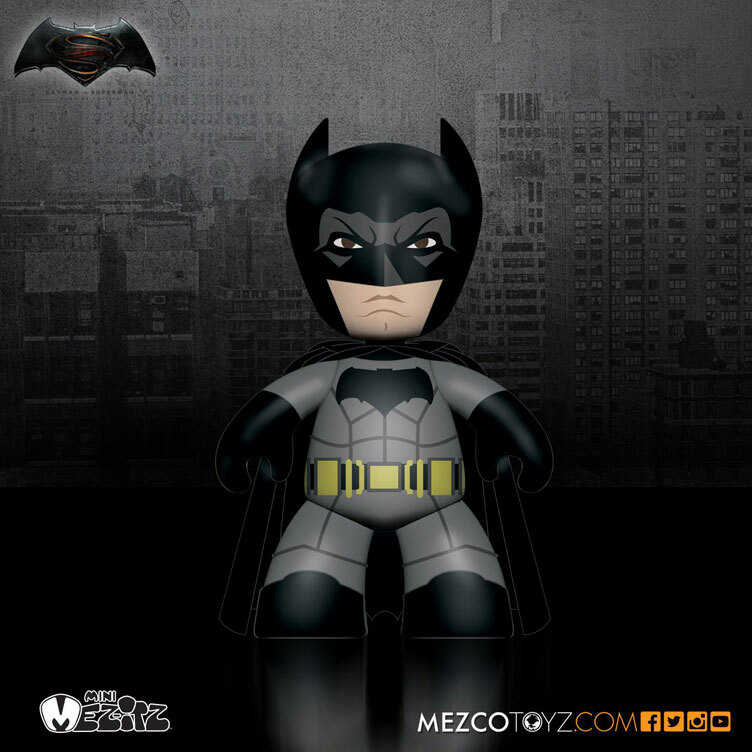 Taking it down to 2-inch form, the Batman vs. Superman: Dawn of Justice Mez-Itz Vinyl Mini-Figures Pack by Mezco Toyz has surfaced following the blockbuster superhero film’s recent release. 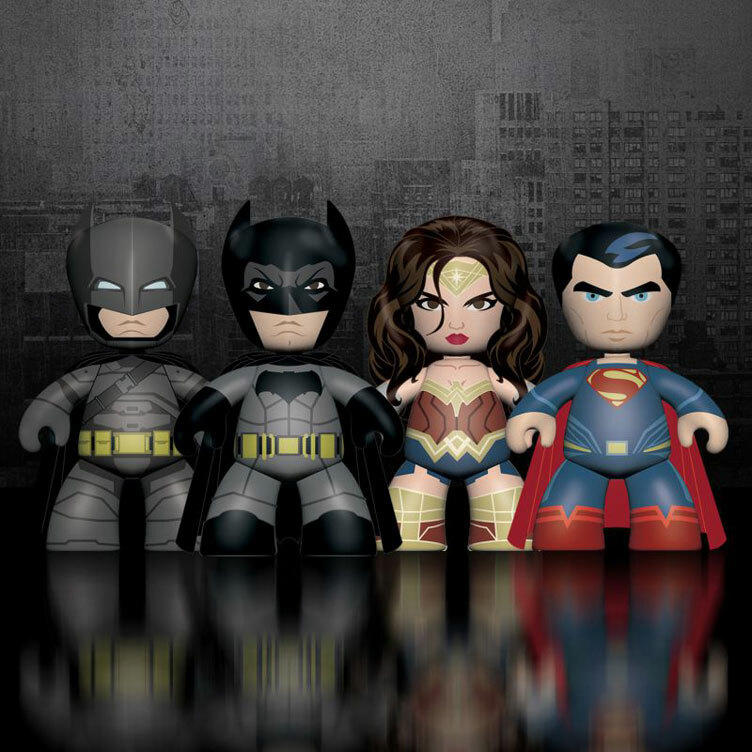 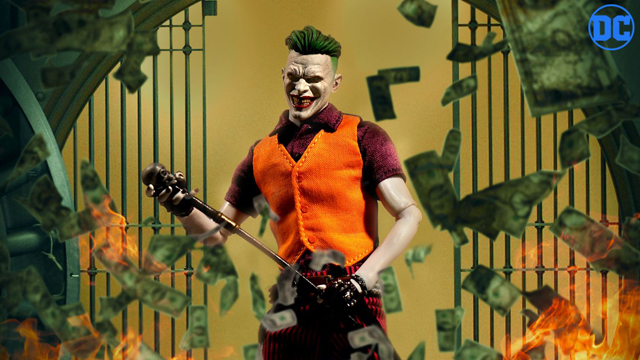 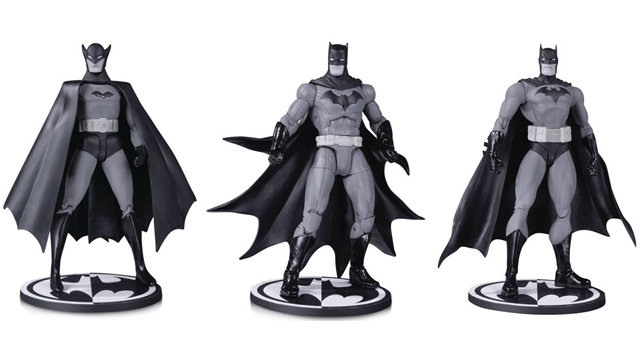 Fully equipped with four characters in the set, each vinyl mini-figure features five points of articulation with costumes looking pretty on-point, including Batman, Superman, Wonder Woman and the Mech-Suit Batman bonus figure. 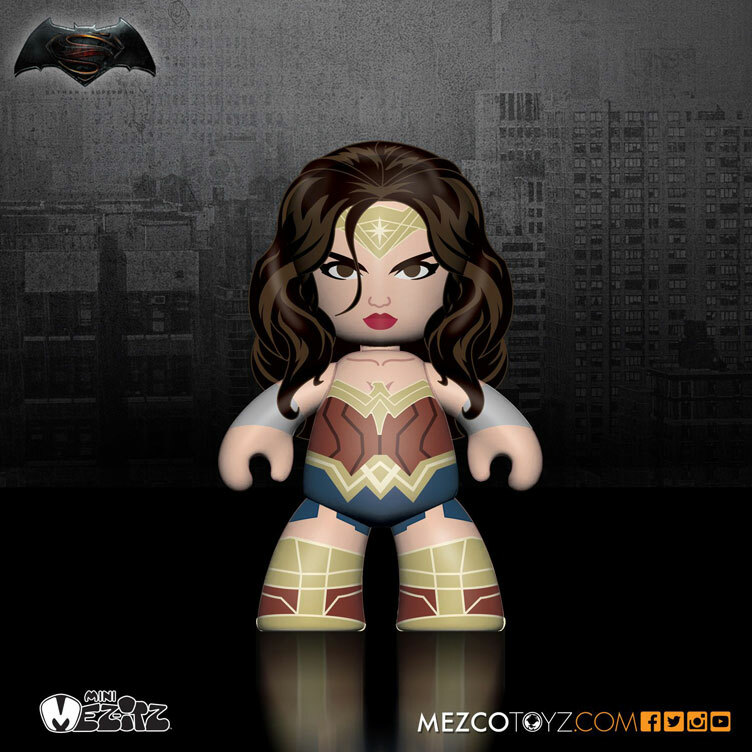 While both Batman and Superman figures feature capes and cartoon style details, Wonder Woman comes ready for action in her brand new costume which debuts in the film. 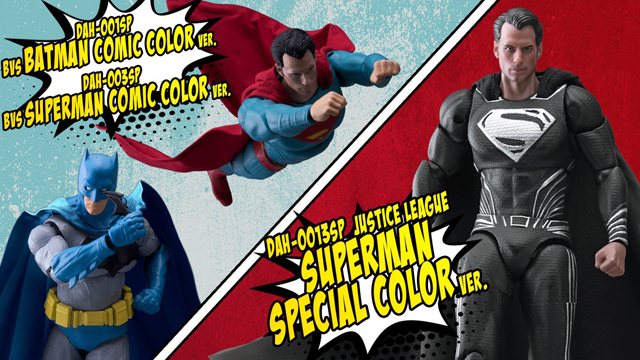 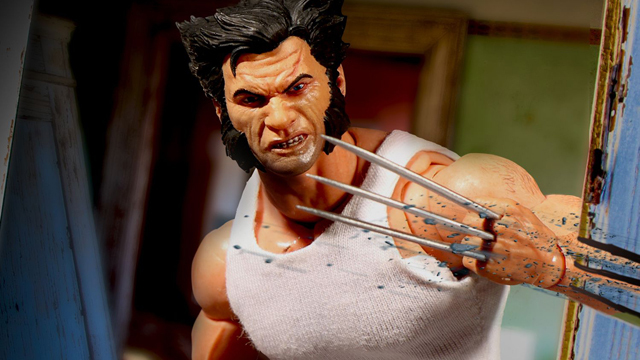 If you’re the type of collector that prefers to keep your action figures in mint condition and packed away while on display, don’t fret as all four figures come packaged in a window box that’s perfect for presentation purposes. 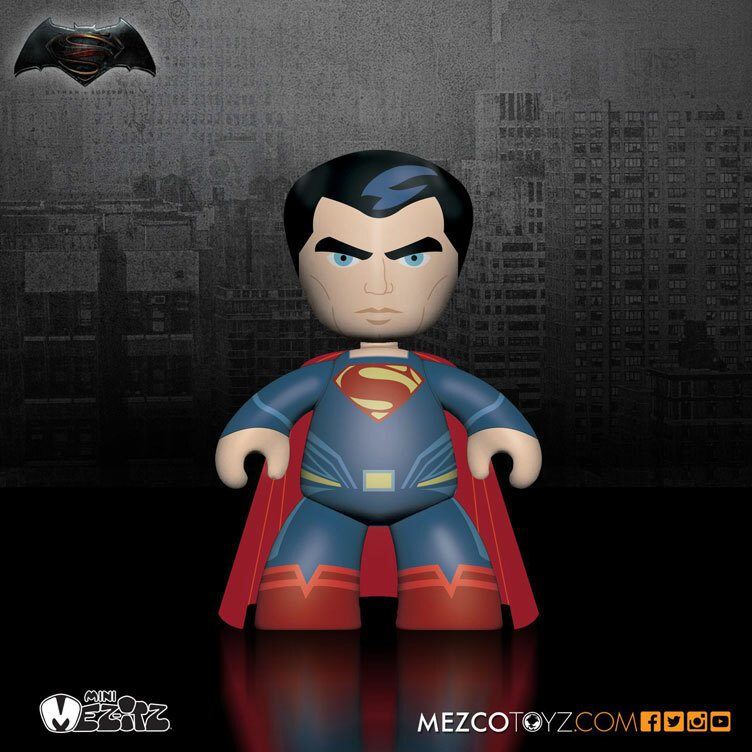 Get a good look at all four Batman vs. Superman Mez-Itz Mini-Figures from Mezco Toyz below which arrive in August 2016 but are available to pre-order in advance here.